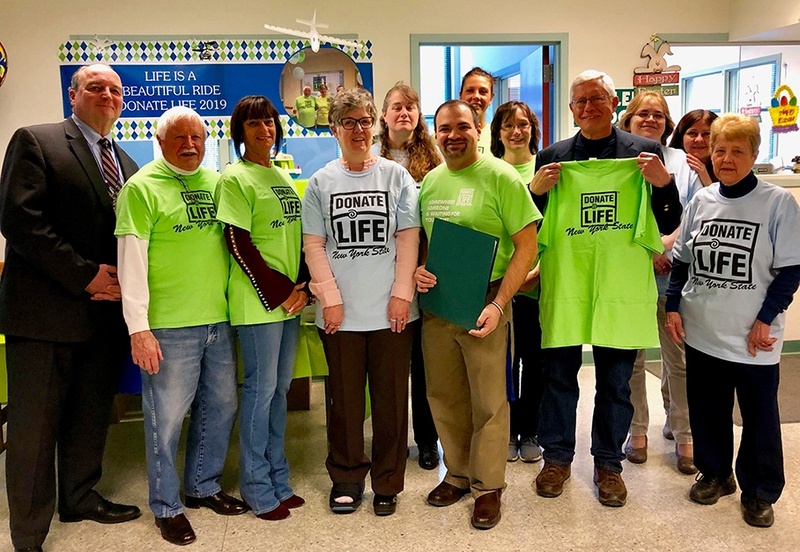 The Greene County Legislature has declared the month of April “DONATE LIFE MONTH”. As of December 31, 2018, 45.6 percent of Greene County residents age 18 and up have enrolled in the New York State Donate Life Registry. If you’re not part of this 45.6%, and you’re age 16 or older, we’d like to ask for your help in reaching our goal of having 50% of residents enrolled by the end of April. Although more than 1,500 New Yorkers receive life-saving organ transplants each year, more than 500 New Yorkers die each year due to a shortage of donors. If you’re renewing your driver’s license in April, you can register when you renew your license at our DMV office.